Boutique developers and builders have an opportunity to secure a land 'superlot' in AVJennings' Big Sky community in Coomera, which is the Gold Coast's fastest growing region. According to Queensland Government research, Coomera's population is expected to explode by 600 per cent over the next 16 years, from 9,075 people to some 69,170 by 2031 - underpinning demand for housing in the area. Realestate.com.au data tags Coomera as a 'high demand market,' with 129 visits per listed property, and a median price of $397,000. 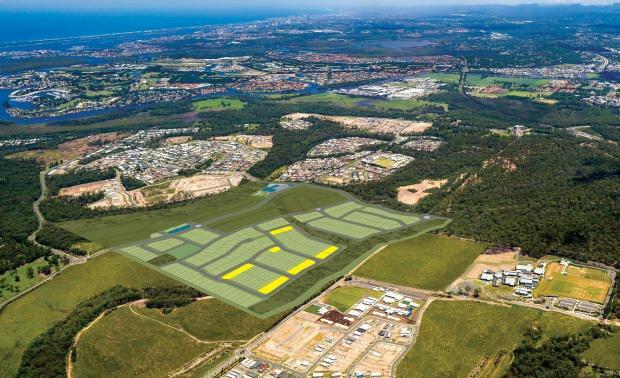 The 'superlots' provide a variety of residential homesites ranging from 650 square metres to 1775 square metres being marketed through a tender process with offers closing on October 14. The superlots are currently under construction with registration expected in November this year. AVJennings has achieved considerable success at Big Sky in recent weeks with two new precincts of homesites selling out on release for a total of $11 million, prompting the developer to bring forward the launch of new stages. AVJennings QLD State General Manager Rod Chadwick says the decision to release some superlots to boutique developers and builders was designed to keep the momentum and activity at Big Sky moving. "By bringing in smaller developers and builders we can deliver a greater range of new homes to meet market demand. By partnering with boutique developers and builders we can bring the development to maturity sooner with a new and more affordable product offering for the area. "Boutique builders and developers have the opportunity to be a part of a well established and centrally located community within the Coomera growth corridor. "This initiative is also geared towards providing more variety and choice for our purchasers, as Big Sky caters to a broad demographic including everyone from young couples and families through to investors, empty nesters and retirees. "AVJennings says it is seeing a trend emerge with first and second home buyers seeking small lot homes in suburban areas. "A smaller house can provide all the liveable attributes of a larger house while being more efficient in their use of space and generally require minimal maintenance, which is a key selling point with young professionals looking to step onto the property ladder," he said. Big Sky is located just 20 minutes from Gold Coast beaches and business districts, is in close proximity to the M1 and the Coomera Railway Station and just 45 minutes south of the Brisbane CBD. On completion, the community will feature 318 homesites, set among a proposed 8.3 hectares of open space including bikeways, walkways and parkland.